An Iowa lawmaker is proposing to legalize the use of certain psychedelic drugs for medical purposes. 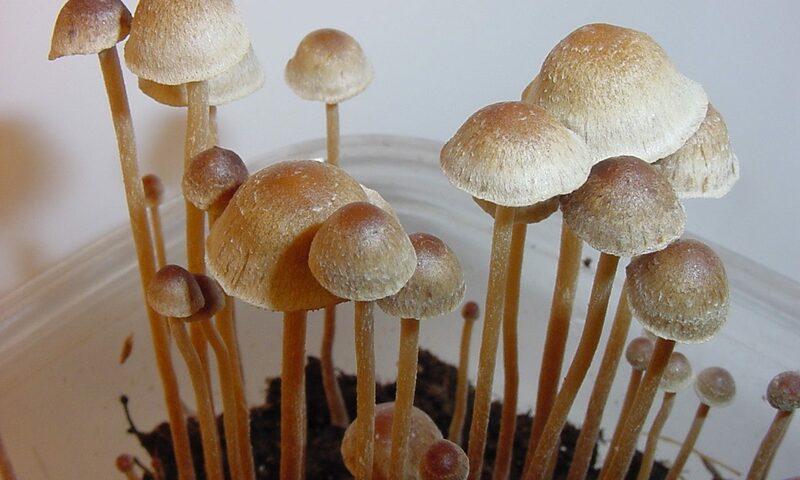 One of his new bills, if enacted, would allow state regulators to approve the reclassification of psilocybin, MDMA and ibogaine to be used in treatment. The other would simply remove the active ingredients in so-called “magic mushrooms” from the state’s list of banned substances. Rep. Jeff Shipley, a 30-year-old freshman Republican, filed the legislation in Des Moines on Wednesday. The other piece of legislation would simply remove psilocybin and psilocyn, the psychedelic compounds found in some species of mushrooms, from schedule I of Iowa’s controlled substances act. While there’s increasing interest around the country in pursuing far-reaching drug policy reform for substances other than marijuana, those efforts have so far largely been carried out by advocacy groups—not by lawmakers. For example, there are campaigns underway in Denver, where a ballot measure to decriminalize psilocybin will go before voters in May, as well as in Oregon, where organizers are collecting signatures to get medical psilocybin legalization on state’s 2020 ballot. In that respect, the Iowa legislation seems to be the first of its kind. A spokesperson for the Multidisciplinary Association for Psychedelic Studies told Marijuana Moment that he was unfamiliar with any similar bills that have introduced in other states to allow legal use of psilocybin or MDMA, though the organization did point to previous legislation in New York, Maryland and Vermont to fund narrow pilot programs or research into the clinical use of ibogaine in treating opioid use disorder. When it comes to broader reforms, a handful of prominent lawmakers and political organizations have begun at least talking about legalization of other drugs besides cannabis. The Iowa Democratic Party adopted a platform plank supporting “legalizing all drugs” in 2016 as a “divestment strategy in the drug war,” as one delegate described it. But by 2018, that language was toned down, with the party instead aligning with policies to simply remove the criminalization of drug use and vacate the records of individuals with non-violent drug convictions. U.S. Rep. Jerrold Nadler (D-NY), chair of the House Judiciary Committee, said last year that “there’s no good reason at all” that “softer drugs” couldn’t be legalized and regulated. It’s unclear what substances he was specifically referring to, but the use of plural “drugs” indicates that his interest in beating back prohibition extends beyond just marijuana. The move by Shipley, the Iowa lawmaker who filed the new psychedelic bills, is especially notable given that he is a member of the Republican Party, which has historically been much more opposed to drug policy reform than Democrats have been. In his own state, for example, GOP leaders are working to defeat legislation to legalize marijuana. Politics aside, when it comes to science, the drugs covered under Shipley’s effort—psilocybin, MDMA and ibogaine—each show therapeutic promise. Research has found that psilocybin and ibogaine are particularly effective at helping individuals overcome addiction, and that psilocybin and MDMA seem to treat symptoms of conditions like post-traumatic stress disorder and depression. This story was updated to include information about previous state legislation.